While Bigfoot, the Jersey Devil, and the Mothman might get most of the attention on land, there are plenty of cryptozoological myths surrounding the US's lakes, rivers, and swamps as well. Atlas Obscura has mapped out the Loch Ness-type monsters, webbed hominids, and giant killer sea creatures that, according to legend, lurk beneath the watery surface. 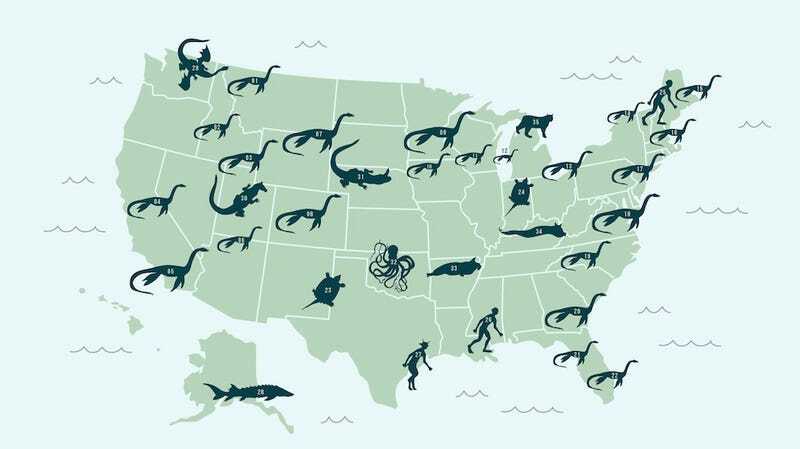 This map might send you down the cryptozoology web research rabbit hole, but Atlas Obscura has descriptions and illustrations of some of these fantastical beasts, including the Eel Pig of Herrington Lake and the ape-like Honey Island Swamp Monster.